The Barrens Topminnow, Fundulus julisia, is proposed to be an endangered species. Image: Emily Granstaff, USFWS. The Barrens topminnow has suffered from the introduction of the non-native western mosquitofish, which has invaded the minnow’s habitat, outcompeting it for food and directly preying on young topminnows. That and the impact of drought mean the minnow is struggling to survive. Efforts to recover the Barrens topminnow began in the 1970s and have proven successful at producing fish for stocking. In addition, the Service worked with landowners to protect and improve Barrens topminnow habitat. Starting in the 1990s, a concerted effort was made to restock topminnows into 27 springs throughout their historic range with the cooperation of many landowners. 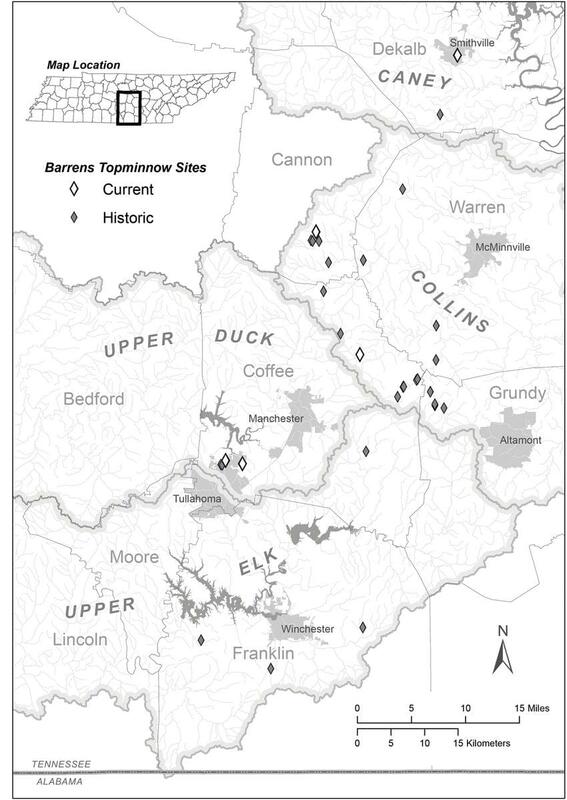 In 2001, the Barrens Topminnow Working Group – consisting of the Service, Tennessee Wildlife Resources Agency, Tennessee Tech University researchers, and nonprofit organizations, including the Tennessee Aquarium, and Conservation Fisheries Inc. – was created to coordinate actions such as habitat improvement, propagation, and stocking. 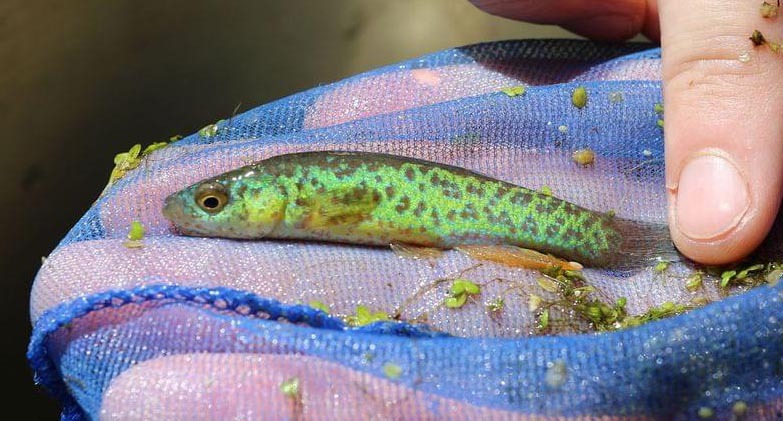 Since the initiation of the stocking program, more than 44,000 Barrens topminnows have been stocked into 27 sites. But the prevalence of the Western mosquitofish, an invasive species that preys on and harasses the topminnow, has made recovery challenging. The mosquitofish were apparently introduced into this area in the 1960s in an effort to control mosquito populations. The mosquitofish proved only moderately successful at controlling mosquitoes, but proved to be very efficient at outcompeting Barrens topminnows. Mosquitofish are able to expand their populations rapidly and move into all corners of an available body of water. Once mosquitofish move into an area where Barrens topminnows are present, topminnow reproduction essentially ceases, and their population is eliminated. Topminnow males are showy and iridescent, with background colors of greens and blues, with reddish-orange spots and yellow fins. Females, juveniles, and non-reproductive males are more drab, with pale brown bodies sprinkled with darker spots. The Tennessee Aquarium has a long-standing breeding program for the Barrens Topminnow. There is a nice exhibit which displays the breeding facility. It is quite educational.